Women in the Arabian Gulf will win diamonds from Damas Jewellery. First, from 15 October to 15 December 2009, women can SMS the serial number on their ‘Win Voucher’ to participate in a draw for one of 25 diamond necklaces from Damas Jewellery. Second, women can take the “Scratch & Win’ instant gift on the ‘Win Voucher’ to their local Damas Jewellery branch. Instant gifts include pre-paid coupons of up to SR250 (or equivalent) or up to 35% discount on select Damas jewellery. Winners can redeem their gifts through 15 April 2010. All winners must present their “Win Voucher” to receive their gifts. Women at least 18 years old may register online at http://www.fam-napco.com/english/fam-25-years-contest.asp for the chance to win a Damas Jewellery voucher valued at SR1500 (or equivalent). 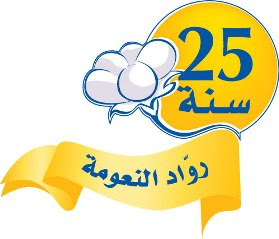 Napco will draw two winners weekly from 15 October to 15 December 2009. Winners can redeem their vouchers through 15 April 2010. All winners must present their win voucher and personal identification to receive the gifts. Fam sanitary towels are manufactured in National Paper Company Ltd. (Jeddah), Napco Consumer Products Company (Dammam), Napco Riyadh Paper Products Company Ltd. (Riyadh) in Saudi Arabia.